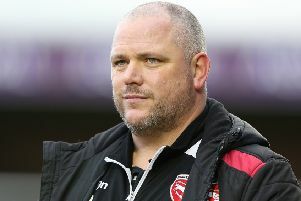 Jim Bentley paid tribute to Morecambe’s defensive work following Saturday’s goalless draw at Notts County. 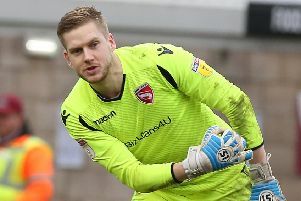 The Shrimps took another step towards safety in League Two after a second clean sheet in their last three games. In a game of few chances, Mark Halstead kept Bentley’s players on level terms with a double save. “We made the mistake in the middle of the park and gave the ball away,” Bentley said. “I thought the back four did well and Mark made a great double save to keep his clean sheet intact. “Going the other way, we seemed to have a head of steam around the 75-minute mark. “We got Piero (Mingoia) in the box and you’re expecting the ball to hit the back of the net but it didn’t. “They threw caution to the wind with more attacking options but we’ve spoken about game management, being resolute and we protected Mark’s goal really well. In the last five minutes, there’s long throws going in but we did OK in that regard. “I said before the game that they are coming to a team that’s won three of the last seven and, on paper, they have a fantastic squad. “Right throughout the club they have good players so you can’t underestimate them. The recent results sets up the Shrimps nicely ahead of an away trip this weekend. They travel to Swindon Town who lie 13th in the table, six places and seven points adrift of the top seven. Bentley said: “To keep a clean sheet and get a point is great. We’ve put ourselves in a decent enough position to have a good week and rise to the challenge away from home next week at Swindon.